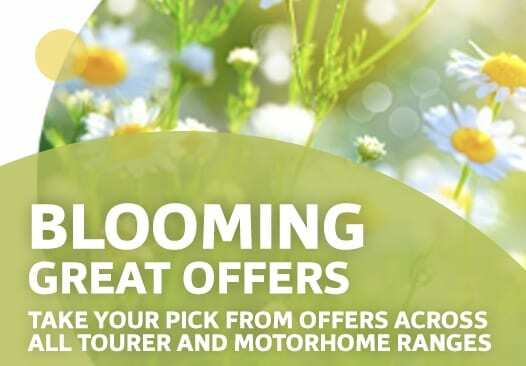 Europe’s number one leisure vehicle brand, Swift, is adding some extra spring to customers’ step with a host of Blooming Great Offers across its 2019 tourer and motorhome ranges, available from 29 March to 7 May 2019. With Swift increasing market share over recent months, these high-value deals will continue the growth trajectory by presenting an attractive proposition at one of the season’s main purchase periods. Nick Page, Swift Commercial Director, said “We are always looking for ways to enhance our customers’ leisure time, so we are excited to launch a host of stand-out tourer and motorhome offers to celebrate the start of the holiday season. Depending on the range, customers will be able to benefit from either free extras packs, cashback, motor movers or engine upgrades, getting their travels off to the best start. Complementing its award-winning tourer lineup, Swift’s spring deals include free extras packs across all tourer ranges, with the exception of the Elegance and Elegance Grande ranges which provide a free motor mover for both single and twin axle models. 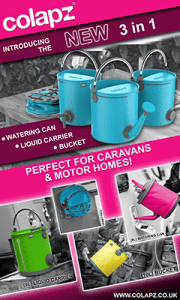 Swift motorhomes will likewise benefit from Blooming Great Offers, with £1500 cashback on every new season Bessacarr and single axle Kon-tiki, as well as a free 180Mj engine upgrade on each 2019 tag axle Kon-tiki. There is also a free Drivers Pack with the Swift Select and a free Comfort Pack on the Escape and Escape Compact ranges. Swift’s Blooming Great Offers apply to 2019 models only, and further terms and conditions can be viewed at www.swift.co.uk/offers.